Our Call Time software makes political fundraising faster and more effective through automation and artificial intelligence. Create an free trial account to get started! 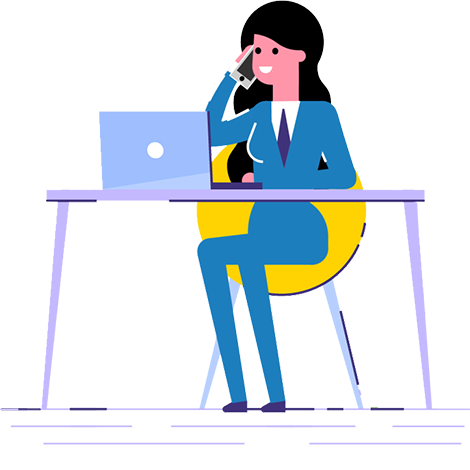 With Call Time you eliminate hours of donor research and speed up the process of placing calls, logging outcomes, and sending follow-ups. 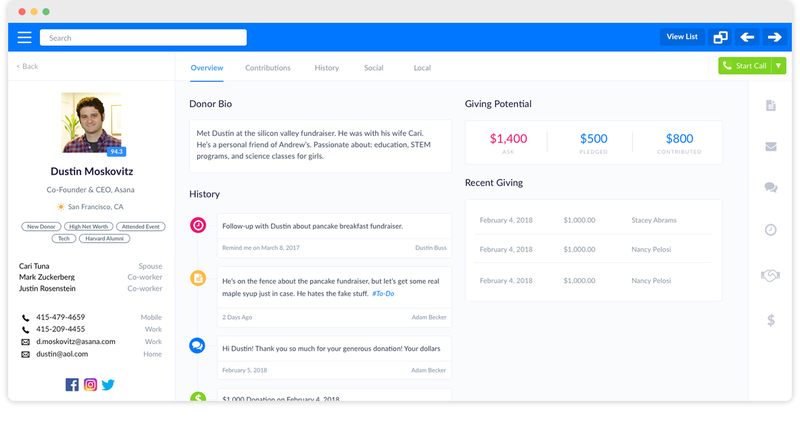 We automatically collect and display federal, state, and local political giving history. Machine learning algorithms generate a score and ask amount for every contact, so you know who's most likely to give and how much. Place calls, leave notes, set reminders, collect pledges, send follow ups... all in one place! Contact profiles are enriched with social media content, demographic data, and additional phone numbers. Spend less time dialing for dollars and more time in the field with voters. Instant federal, state, and local contribution history. A.I.-generated call lists of the best people to call in the moment. Log calls and send templated email or text message follow-ups. Analytics, data-driven insights, and reminders help you improve your process. Want to learn more about how to supercharge your fundraising? Sign up to speak with a fundraising expert. Join our (occasional) mailing list to receive product updates. © Dreambase, Inc. All rights reserved. Call Time is currently in private beta, but we have added your name to the invite list. If you want to fast-track the sign-up process, please schedule a demo. Otherwise, we'll reach out soon. We're onboarding new campaigns every day! We'll be in touch very shortly (usually within one day) with pricing information and more details on how to get started. If you want to fast-track the sign-up process, please schedule a demo. We'll keep you updated with product news. Your demo has been scheduled, and we emailed you a calendar invite. The call-in details are provided in the notes of the invite.